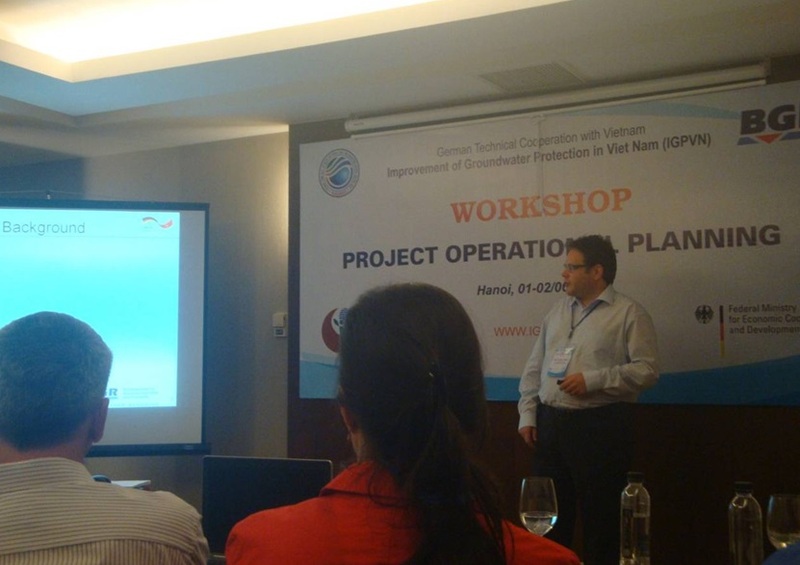 On June 1, 2015, at Pullman Hanoi Hotel, the project Improvement of groundwater protection in Vietnam (IGPVN) has organized an operational planning workshop for 2015-2017 period in order to build a list of project activities and to propose the implementing time for each activity. 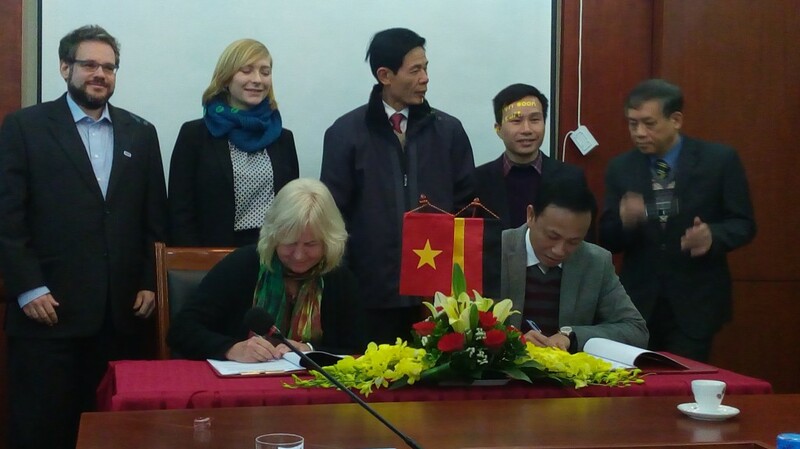 During the next two years and a half, the project will focus on improvement of groundwater protection in the Mekong Delta, southern Vietnam. 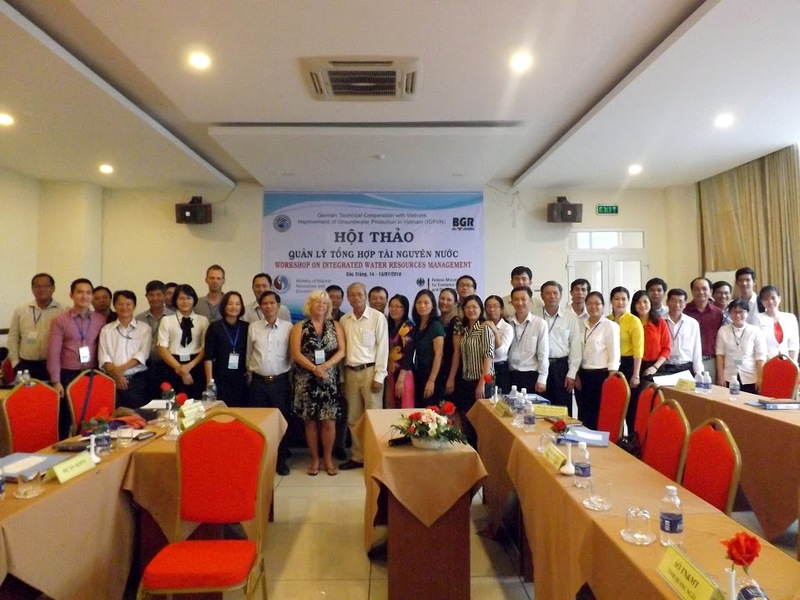 Ms. Dorit Lehrack – IGPVN project leader – and Mr. Florian Jenn – IGPVN hydrogeological expert – were attending the operational planning workshop. 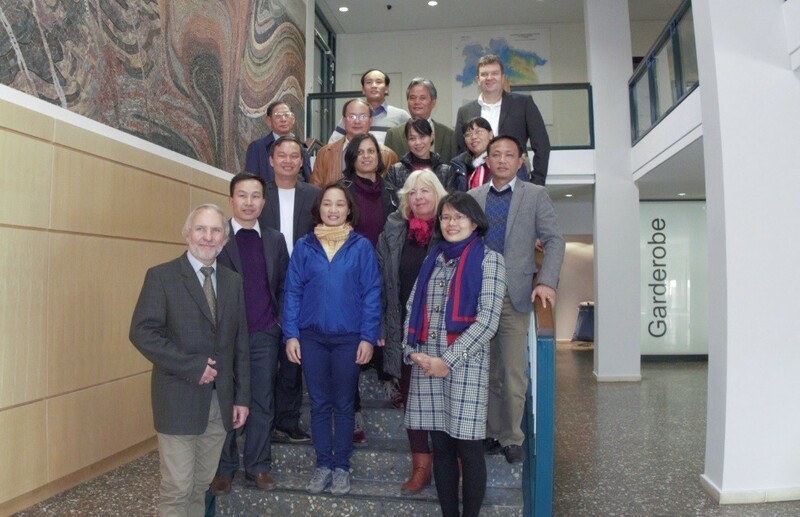 Two representatives of the Federal Institute of Geosciences and Natural Resources (BGR): Ms. Christiane Molt – project coordinator of the Asia and Oceania – and Dr. Roland Baeumle – hydrogeological expert also participated in this discussion. 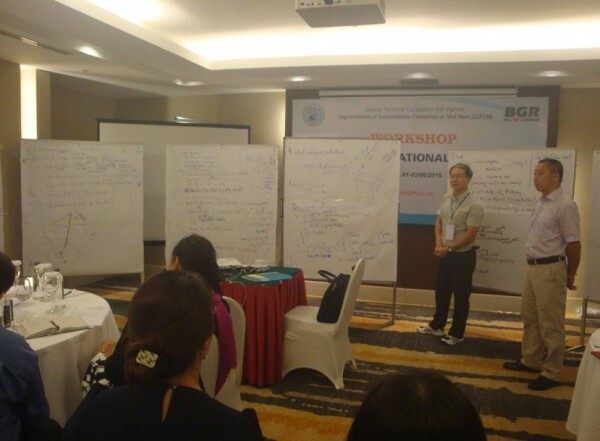 The delegates of the National Center for Water Resources Planning and Investigation (NAWAPI) and the divisions enthusiastically contribute ideas on the project activities. 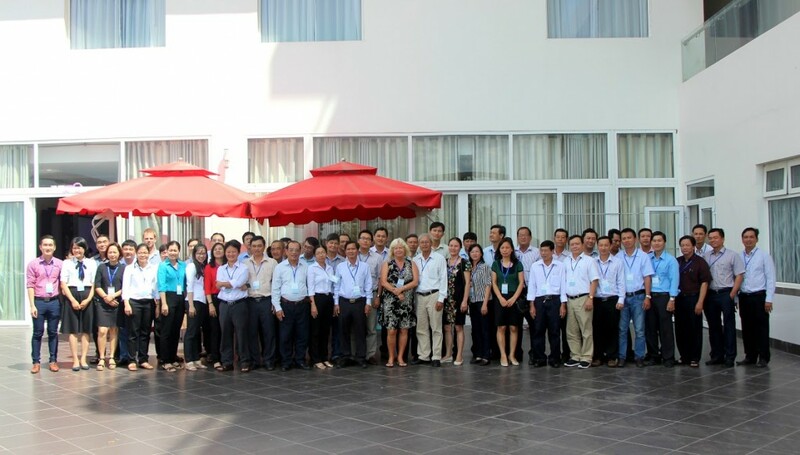 In addition, Dr. Christian Henkes – program director Integrated Coastal Management Program (ICMP-GIZ) has also attended the workshop and shared some relevant information. 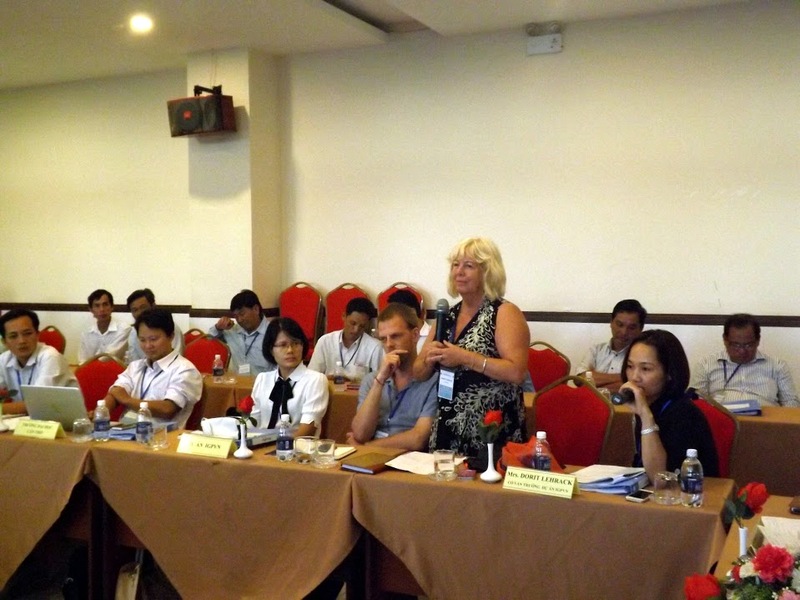 According to Ms. Christiane Molt, the idea of the project Improvement of groundwater protection in the Mekong River Delta was initiated in July 2013 in the German-Vietnam government negotiation, consisting of 3 key components: i) policy advice; ii) technical assistance, capacity building, and iii) awareness raising. 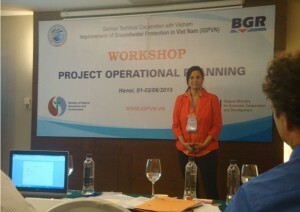 Mr. Florian Jenn has summarized the general situation of the Mekong River Delta and proposed some fields of technical assistance that BGR can support NAWAPI. At the same time, he also highlighted the advantages and available resources of NAWAPI which are premise of cooperation and project implementation. 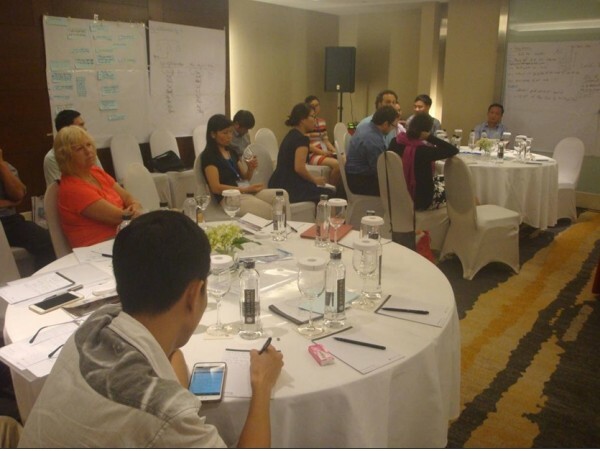 During the first day, the workshop participants were divided into two groups to discuss and propose the project activities and implementing time. The discussion results of each group will be presented on the following day. 1) policy advice: (i) circular on investigation and protection of groundwater resources; (ii) circular on delineation for protection of groundwater exploitation works. 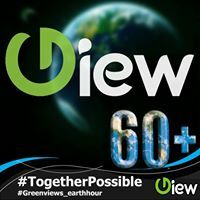 The establishing process of a circular has also been pointed out: (i) developing proposal; (ii) drafting circular; (iii) workshop to consult experts, the provinces and BGR; (iv) finalizing the circular; (v) approval and issuing; (vi) training and disseminating for implementation. 2) technical assistance: doing some research on (i) hydrogeological window; (ii) groundwater origin and recharge; (iii) land subsidence due to groundwater extraction; (iv) salt water intrusion. 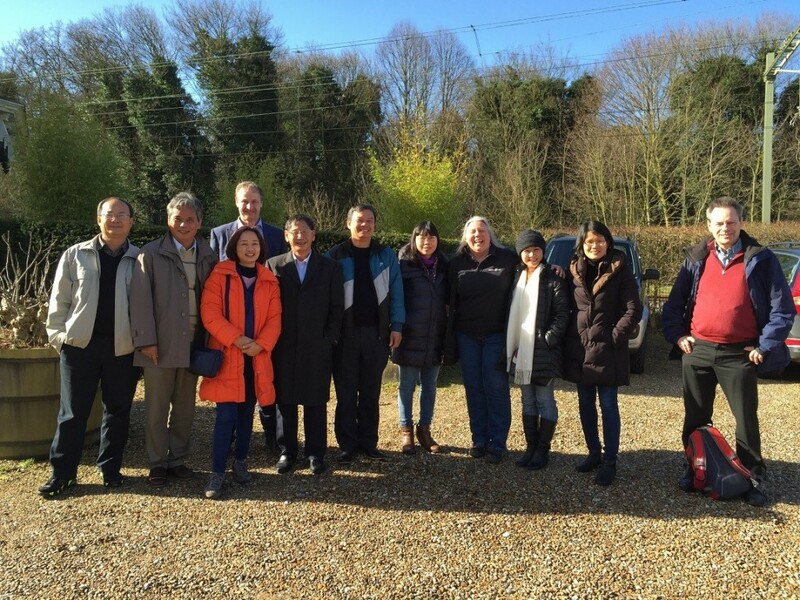 After one day and a half of intensive and efficient work, the operational planning workshop has achieved its objectives of developing the list of project activities and proposing the implementation period. This will be a prerequisite for organizing a PMU workshop to develop a detailed monitoring matrix for the project activities and results. Improvement of Groundwater Protection © 2019. All Rights Reserved.